Addepar is a leading provider of technology for the wealth management industry. The company’s performance reporting and analytics platform aggregates portfolio, market, and client data all in one place. It provides asset owners and advisors a clearer financial picture at every level, allowing them to make more informed and timely investment decisions. Addepar works with leading financial advisors, family offices, and large financial institutions that manage over $1.3 trillion of assets on the company’s platform. In 2018, Addepar was named as a Forbes Fintech 50 and received Morgan Stanley’s Fintech Award for making significant impact to the firm’s mission of continuous innovation. 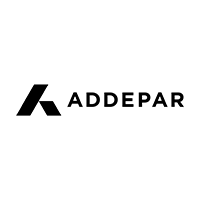 Addepar is headquartered in Silicon Valley and has offices in New York City, Chicago, and Salt Lake City. Learn more at addepar.com.